I can no longer deny that I've slowly become obsessed with skincare products, but in my defense, and you'll have to agree with me, they are pretty amazing. 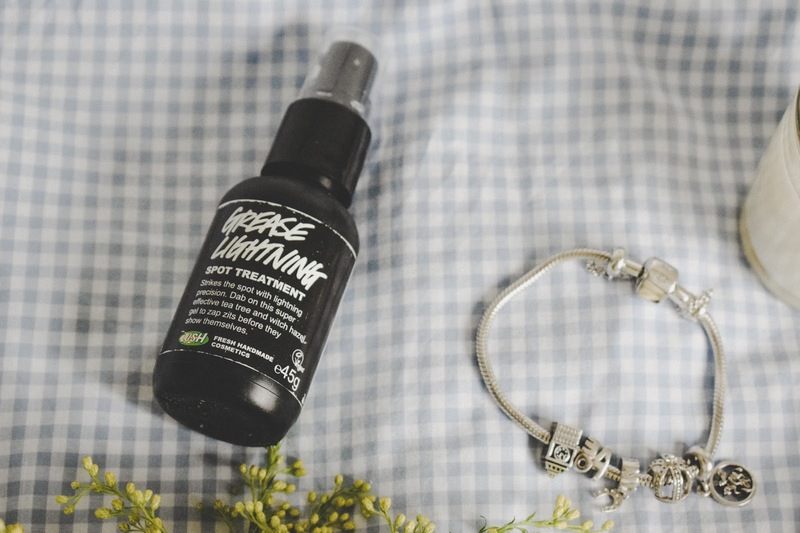 I've had many trial and errors with products in the past, and although I've discovered ones I carry dear to my heart, this time I really wanted to get to know my skin and use items that will adequately benefit it. I went to see a dermatologist and based on my skin type and my habits she was able to give me some great recommendations, and in a matter of a week, I already saw a major difference. So I wanted to update and share with you guys my tips and routine too. 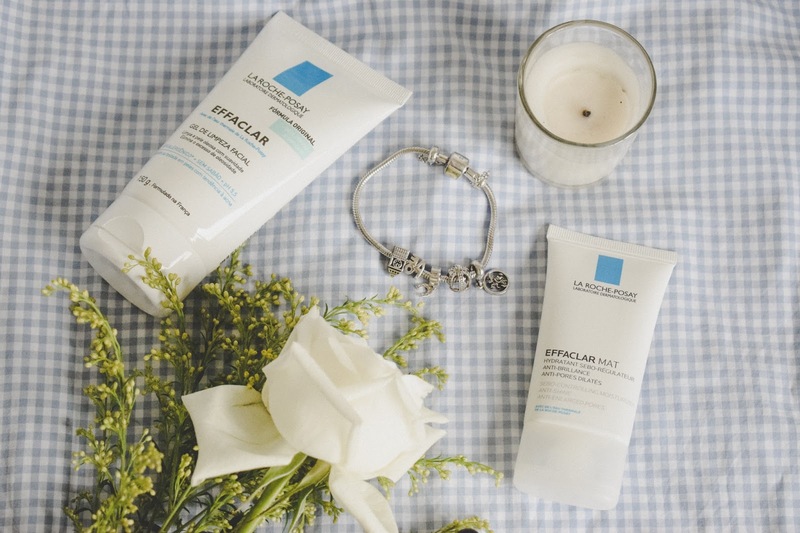 The first products she recommended were the Gel Cleanser and the Mattifying Moisturizer from La Roche Posay. I use the cleanser in the morning and at night before I shower, and the moisturizer in the morning too. They're both for combination or oily skin; I was amazed at the fact that they are so gentle on the skin, truly cleansing and kept my face rid of oil throughout the entire day. Worthy of many heart-shaped emoji's! 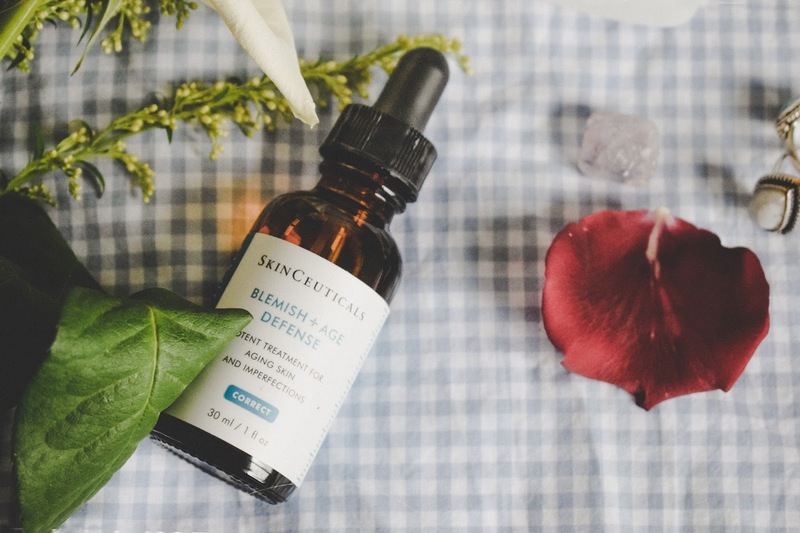 The second product is the Blemish + Age Defense by Sans Ceuticals which is to treat blemishes and little imperfections whilst also keeping a healthy and glowing skin. It's super light and soft when you apply and does a great job at smoothing your pores too. This product is more on the pricey side but it's truly worth it and lasts forever since you only need a few drops at night. When I need to treat a specific pimple or something, the Grease Lightning by Lush or the Drying Lotion by Mario Badescu are my holy grails. They're really natural and you practically go to sleep with a pimple, and wake up without one (well, almost, but it's as close as it gets!). 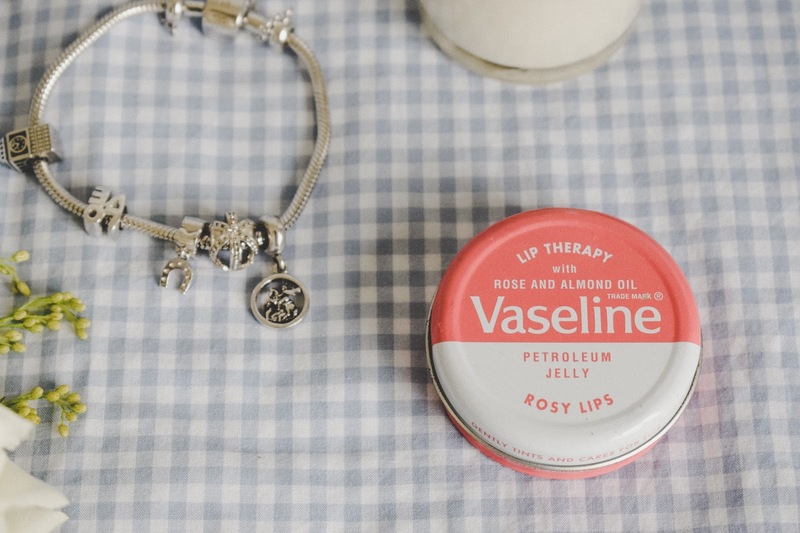 If my lips are dry and chapped or even when I want to add a little color and moisture at the same time, Vaseline is my go-to and one I never leave the house without. Bonus that's it's also practical and easy to store anywhere. 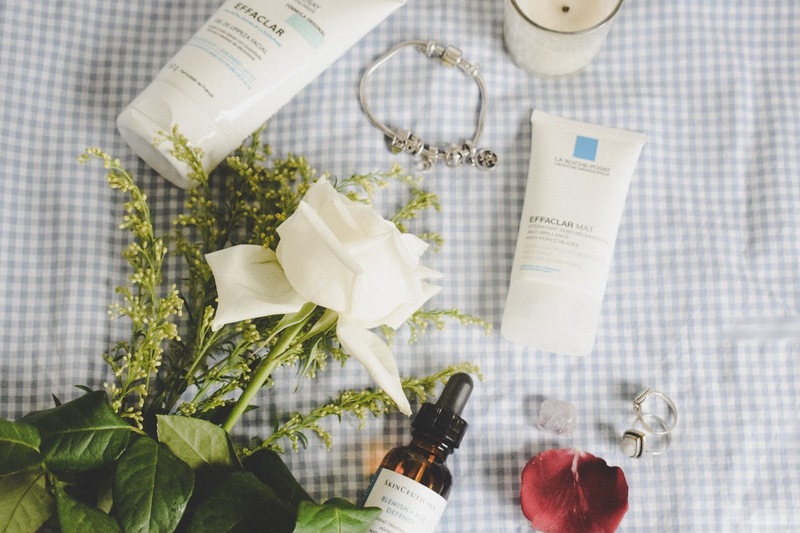 A few other products I love are the Apricot Scrub by St.Ives, the Aloe Moisturizer by Mario Badescu and the Rose Water by Santa Maria Novella. The Clarisonic facial cleansing brush is also amazing if you're willing to step up your skin care and it's incredibly more effective than using your hands and truly truly cleansing.